NYC, 04/08/2019, 2:00PM. 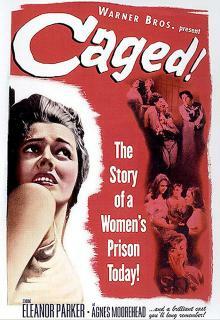 Caged (1950): Three Time Oscar Nominated Film-Noir. 96 min. Director: John Cromwell. Starring Eleanor Parker, Agnes Moorehead, Ellen Corby. Caged was nominated for three Academy Awards for Best Actress, Best Supporting Actress, Best Writing (Story and Screenplay).